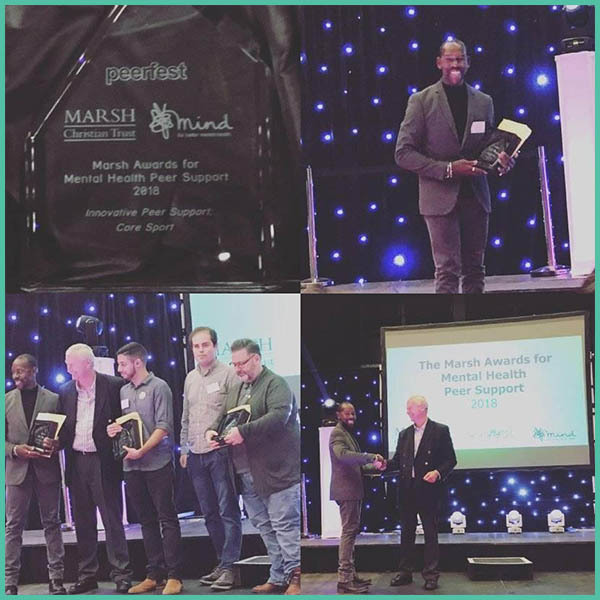 Core Sport wins the Mind MARSH Award in the category ‘Innovative Peer Support Award’ at the Peerfest Awards 2018. With special thanks to all our member volunteers who really make a huge difference to Core Sport, along with a great team of coaches and volunteers. Thank you!